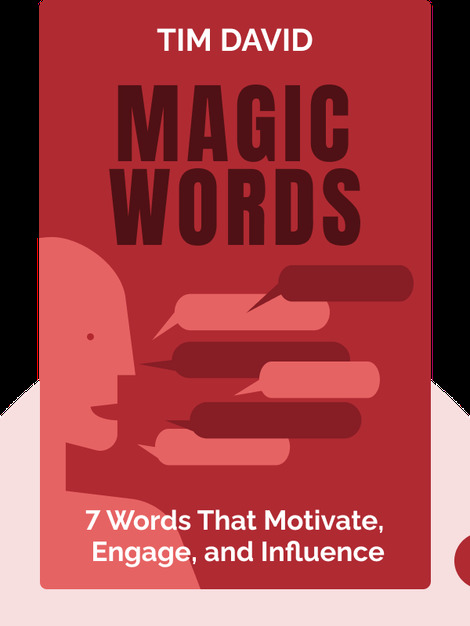 Magic Words (2014) discusses seven words that will motivate people into action. You need people to work with you, no matter your goals, and these blinks offer advice on building meaningful connections and getting your friends and colleagues to work with you on what you want. 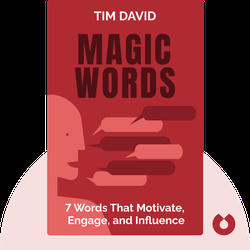 Tim David is a professional magician, mentalist and trainer. He runs a popular YouTube channel and focuses on helping others build more effective communication skills.